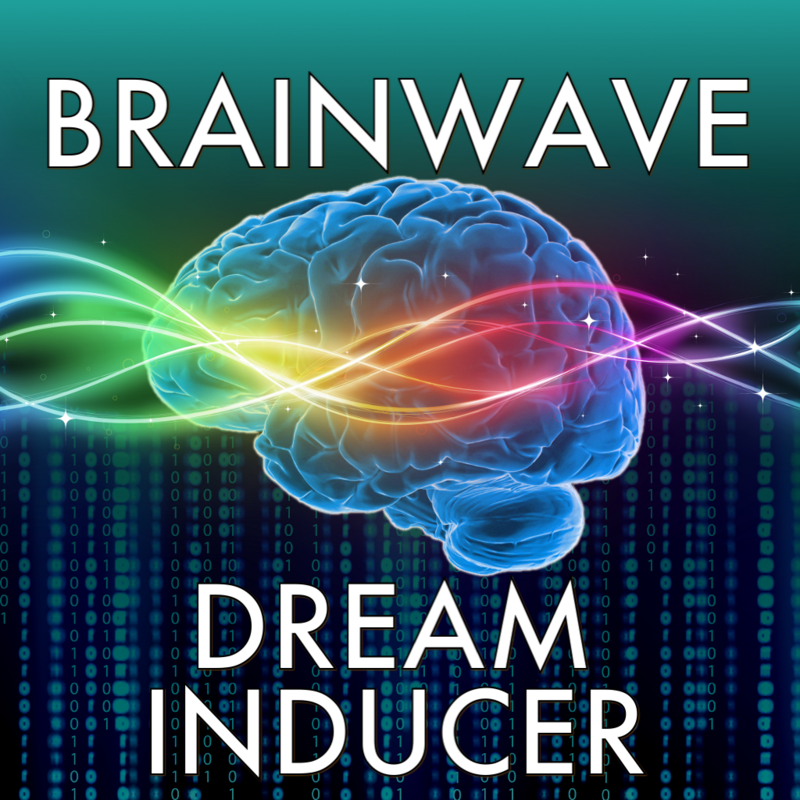 AppAdvice has once again teamed up with Banzai Labs in order to offer you a chance to win a copy of Brain Wave Dream Inducer ($0.99) for iPad, iPhone, and iPod touch. Over the past four and a half years, many have enjoyed the Brain Wave's benefits and Banzai Labs's constant efforts to improve the experience, which continues. 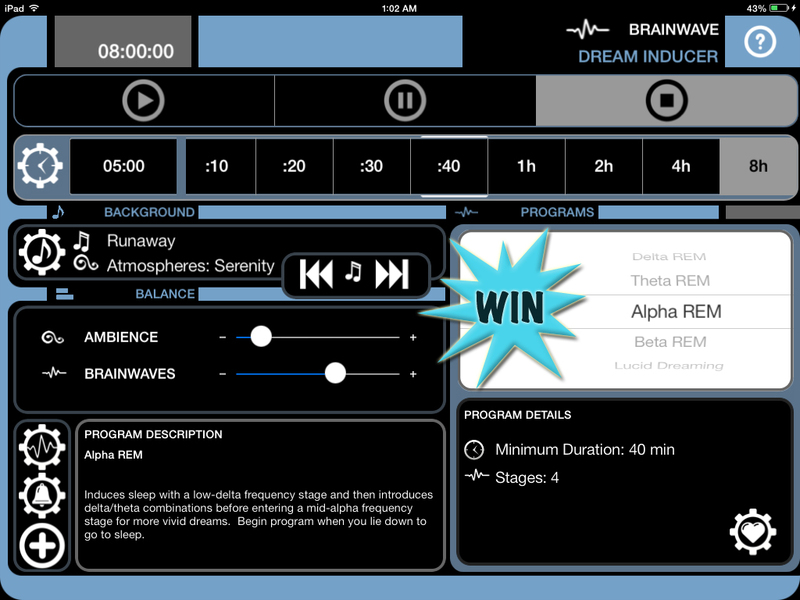 Last month, shortly after the iOS 7 launch, Brain Wave and the series spinoffs, including Dream Inducer, became v6.0. The notable update provided a flattened user interface to harmonize with Apple's mobile OS revamp as well as external audio support. The highly requested feature allows playing music, podcasts, or other audio alongside or as a replacement to the built-in ambient sound loops for both the binaural background source and session over alarm. Playlist management and separate volume control using the device's hardware buttons or external app add a bonus level of convenience and preference customization. With the same brainwave technology as its parent, Dream Inducer is able to influence much more realistic and profound dream experiences. So, what is brainwave entrainment? It's the process of using audible or visual stimuli to change a person's brainwaves, which are related to certain actions and capabilities, through the means of synchronization. Delta waves are less than or equal to four hertz, and associated with deep sleep. Theta waves are between four and seven hertz, and associated with drowsiness. Alpha waves are between eight and 13 hertz, and associated with relaxation. Beta waves are between 13 and 30 hertz, and associated with high alertness and focus. Gamma waves are between 30 and 70 hertz, and associated with problem solving. Because most of the frequencies are subsonic, below the 20 Hz limit of the human ear, entrainment must be done via binaural beats, a trick of using stereo sound through standard earphones or headphones. For example, Brain Wave would output a 270 Hz beat into the left ear and a 281 Hz beat into the right to create the perception of an Alpha wave, i.e., a frequency difference of 11 Hz. Using this concept in combination with ambient sounds or music, Brain Wave is able to gently and subtly influence a specific state of mind. Now that the methodology is out of the way, it's time to get a glimpse of what Dream Inducer is made of. Whether using the app on iPad or iPhone, the user interface places dominance on program selection, but also has volume, playback, sound, and duration controls within easy access. Somewhat tucked away are adjustments to fade durations and the alarm. One of the significant differences for iPhone and iPod touch users is the lack of showing the program description onscreen continuously, instead requiring the user to tap on the info "i" button. The app includes 11 ambient sounds, the aforementioned iTunes/iPod integration and third-party music app support, alongside the five different REM sleep programs for stimulating attributes such as creativity and vividness or even the self-aware lucid dreaming option. 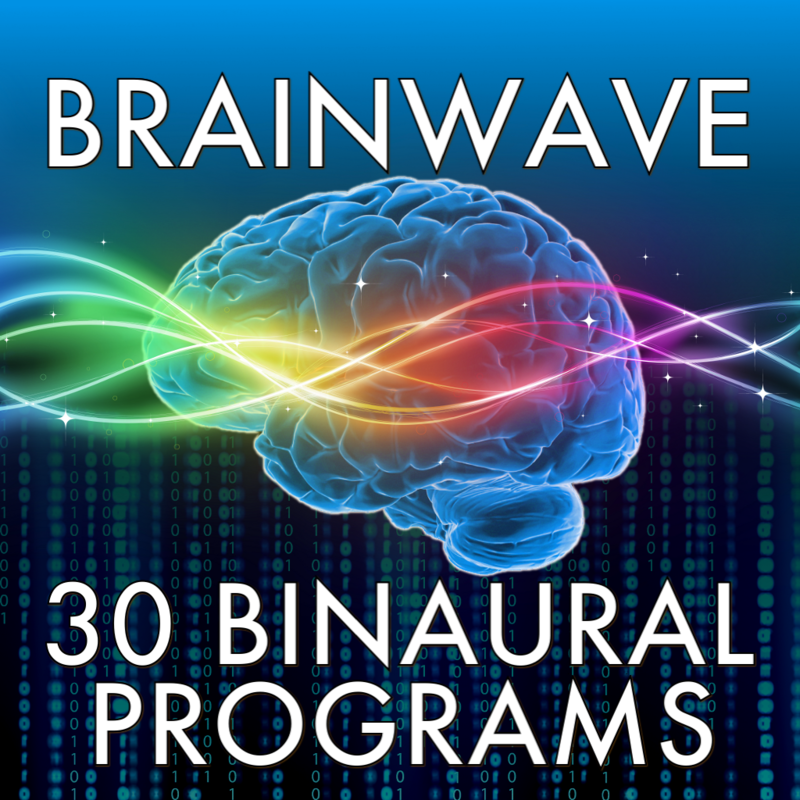 To have an opportunity at randomly winning one of 30 Brain Wave Dream Inducer promo codes, leave a relevant comment below before Nov. 10 at 11:59 p.m. PST. If you want to increase your odds of winning, just hit that tweet button near the bottom of this page or retweet this post from your favorite Twitter app before tonight at 11:59 p.m. PST to have a chance at one of 10 other Brain Wave Dream Inducer promo codes. We will then search the Twitterverse for all of the retweets and randomly choose our lucky winners. The additional winners will be notified via Twitter direct message, therefore, please be sure to follow us. Feel free to participate in the giveaway via either or both methods. Only one entry per person per method is allowed, totaling up to two entries per person when using both. Please be sure to also check your junk email boxes so that you won't miss out if you win.